[as] > Construction > How Feasible is Tall Wood? How Feasible is Tall Wood? 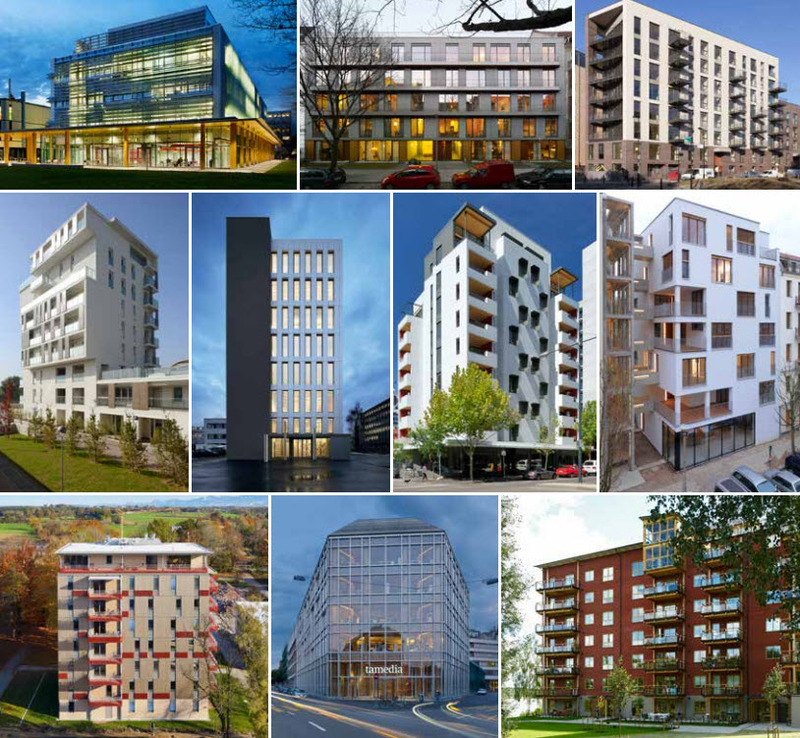 A recently-published report entitled “Summary Report: Survey of International Tall Wood Buildings” investigates various aspects related to the feasibility of tall wood buildings. This report, published by Forest Innovation Investment and the Bilateral Softwood Lumber Council, summarizes findings from surveys and interviews with key personnel involved in the creation of ten worldwide buildings, all of which are shown in the image above. The report focused on lessons learned, project insurance, project financing, and building operations and maintenance. The authors relate the fact that most of these buildings are located in Europe to the existence of “a strong regulatory grounding in Europe that supports the use of low carbon content materials, renewable resources and energy efficiency in construction” and applaud the “strong ethos of collaboration” that exists there. Among all of the surveyed buildings worldwide, it was found that all involved parties had a commitment to a timber solution early on and were motivated based on innovation, market leadership and carbon reduction. Furthermore, the importance of pre-planning and collaboration was stressed. You can find the entire report and various related articles below.